I've mentioned this before but I haven't seen it for a while. Until today. This is a unique way of advertising in Copenhagen. 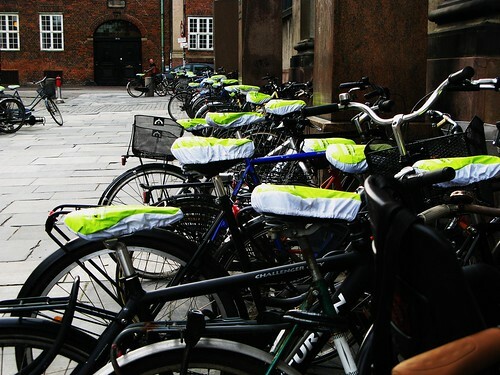 Printing rain covers for bike seats with [insert your product of message here] and then slap them onto hundreds of bikes. These ones were outside the university and advertised for a job and career convention where students can learn about different job opportunities. Other times it's a product or an event.